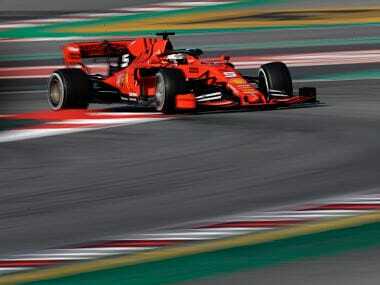 Barcelona: Ferrari made a strong start to Formula One's pre-season testing on Monday with four-times world champion Sebastian Vettel saying he could not have hoped for a better day after setting the fastest time and doing the most laps. 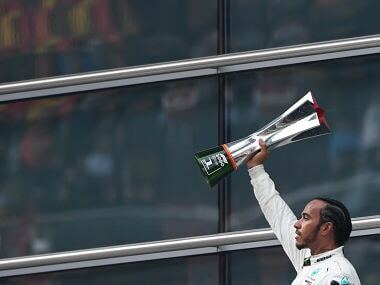 The Italian team won six of 21 races last year, finishing overall runners-up and hope the new SF90 car can end Mercedes's five-year stranglehold on both championships and their own decade-long wait for a title. Vettel set the quickest lap of one minute 18.161 seconds on a sunny morning at the Circuit de Catalunya, his time on the C3 medium tyres already quicker than anything set during the weather-hit first four-day test of 2018. He completed 169 laps, equivalent to 2-1/2 race distances at the Spanish Grand Prix circuit. 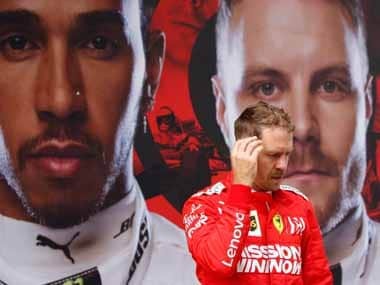 "Unbelievable," Vettel told reporters. "The car was working really well, we had no issues slowing us down. We actually completed the programme just the way we wanted. "First impressions yesterday (when the car had a brief run for filming purposes) were already very good and strong and the same today. It seems that the car is working, I feel comfortable... I certainly got enough laps today." The German had been nearly two seconds faster than the best of the rest, despite saying he felt a bit rusty after the long winter break until McLaren's new Spanish signing Carlos Sainz closed that gap in the afternoon with a 1:18.558 effort on softer tyres. 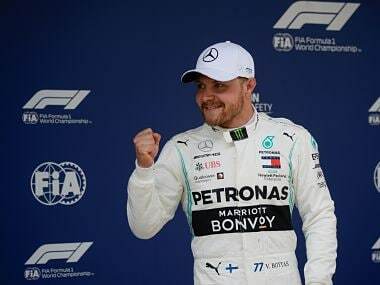 "You need to be disciplined because we are all keen and looking at lap times, and obviously you want to be quick and on top of the leaderboard at every single session, but it's not the purpose of the test," said Mercedes team boss Toto Wolff. "It's to go through all the parts that you want to look at and what the data and sensors tell you. But yes, I've seen the time... definitely the Ferrari has been going strong this morning." Red Bull, now powered by Honda after their split from Renault, managed 128 laps with Dutch driver Max Verstappen in action and fourth fastest. 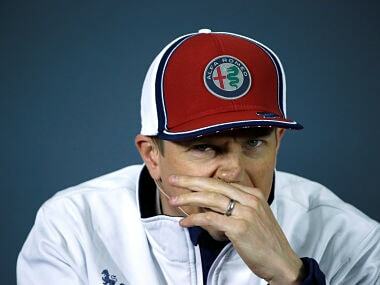 Alfa Romeo, the renamed former Sauber team, had 2007 champion Kimi Raikkonen in new overalls after leaving Ferrari and completing 114 laps after an early trip into the gravel that brought out the first red flag of 2019. The Finn was fifth fastest. Russian Daniil Kvyat was slowest in the Honda-powered Toro Rosso in the morning but moved up to sixth after lunch with the bottom place taken by Daniel Ricciardo for Renault in the afternoon. The Australian, who has moved from Red Bull, shared duties with teammate Nico Hulkenberg and the pair put in 109 laps between them. Only nine of the 10 teams appeared on track, with struggling Williams failing to get their car ready on time and not expecting to test until Wednesday at the earliest.